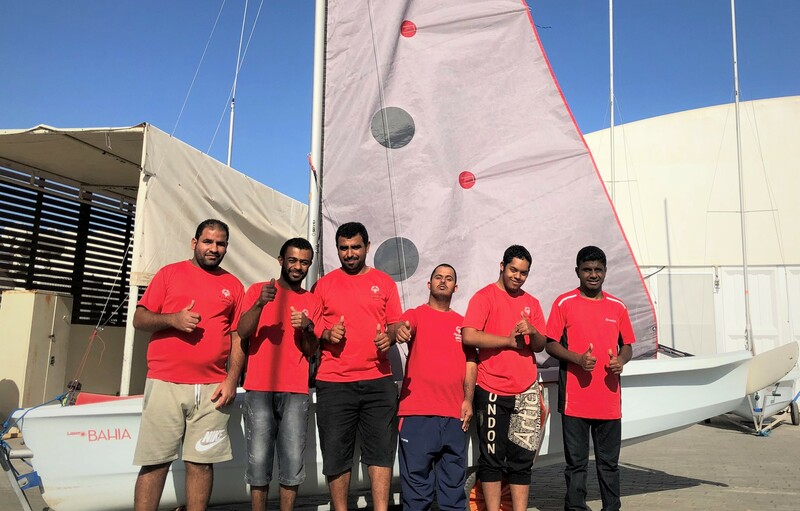 Oman Sail’s Tour Voile team has completed the first phase of the highly competitive race around France in a strong third place overall in the 26-strong fleet. After the opening three days of stadium racing in Dunkirk the #SailingArabia powered by Oman Sail squad of skipper Thierry Douillard with experienced Omani sailors Ali Al Balushi and Abdulrahman Al Mashari, British Olympian Stevie Morrison and French match race ace Mathieu Richard, were tied in first place overall with pre-race favourites Beijaflore. At the second Act in Dieppe, however, the team lost out in what proved to be a light wind lottery of a highly unpredictable coastal race, finishing 12th. The following day saw a return to high-intensity inshore stadium racing for the Diam 24 trimarans, with #SailingArabia powered by Oman Sail just missing out on qualification for the daily final by a single point. 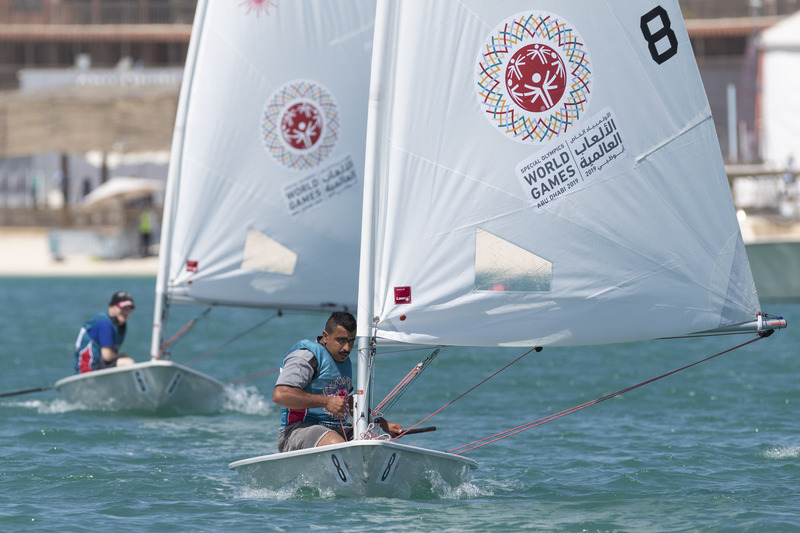 Meanwhile, Oman Sail’s Diam 24 development squad of Sami Al Shukaili, Yasser Al Rhabi and Haitham Al Wahaibi, led by skipper Pierre Le Clainche, have impressed and are in 10th place overall after posting a fourth on the second day of racing and then a seventh in the Dieppe coastal race, an event they were leading at one point. With five days of racing complete, all 26 teams in the classic event have a non-sailing day – one of only two in the intensive 17-day schedule – before resuming the action on Thursday 12th July after relocating to Barneville-Carteret on the western tip of the Cherbourg peninsula. “We had a great start to the Tour Voile, the boat is going very well and we had some good races in Dunkirk,” said Morrison, helmsman on #SailingArabia powered by Oman Sail. “Dieppe was pretty frustrating as we were winning the long coastal race for the first hour or so, and then the wind disappeared completely,” he said. “The whole fleet was becalmed and when the wind came back in, it wasn’t near us, so we went from hero to zero pretty quickly. In the overall standings Beijaflore – winners of this year’s EFG Sailing Arabia – The Tour event in Oman – lead from Lorina Limonade Golfe du Morbihan with #SailingArabia powered by Oman Sail third, narrowly ahead of Team Reseau Ixio and Team France Jeune. The Tour Voile continues in Barneville-Carteret with the usual two-day mix of coastal race and inshore stadium racing, closely followed by the same menu in Baden-Golfe Du Morbihan in southern Brittany. 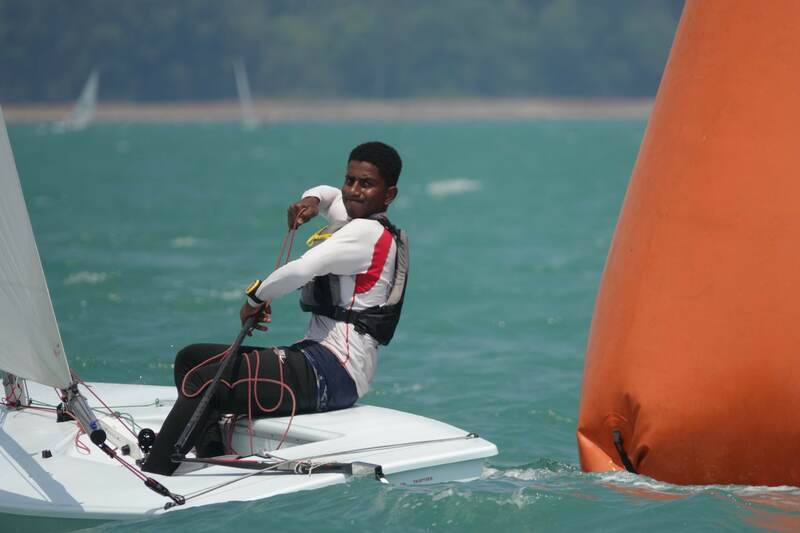 Attention then switches to France’s Mediterranean coast with successive shots of two-day racing in Gruissan, Hyeres and then the finale in Nice on the 21st and 22nd of July. Also racing in France, the Oman Sail J80 Women’s Sailing Programme team are competing at the J80 Worlds in Les Sables, and are in 23rd place after three races in the 73-strong fleet. 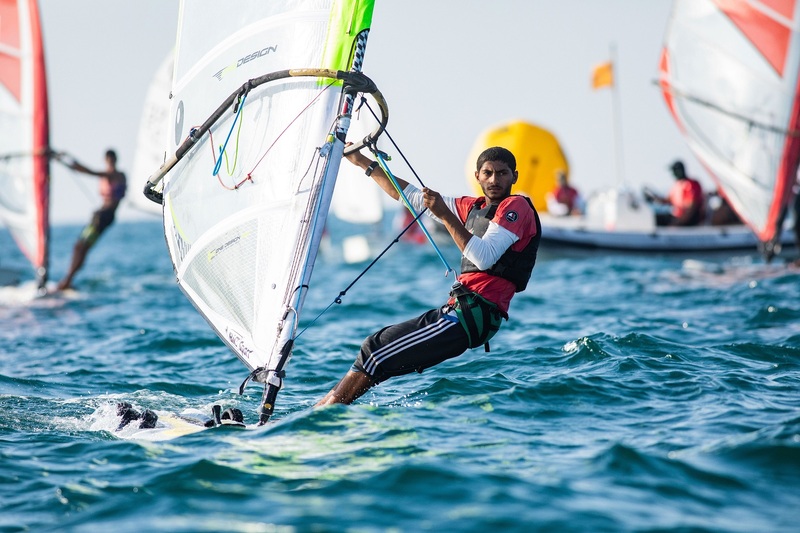 Elsewhere in Europe, Oman Sail’s 49er duo of Musab Al Hadi and Waleed Al Kindi are currently in 58th place in a competitive 92-strong international fleet at the 2018 European 49er Championship in Gdynia, Poland.